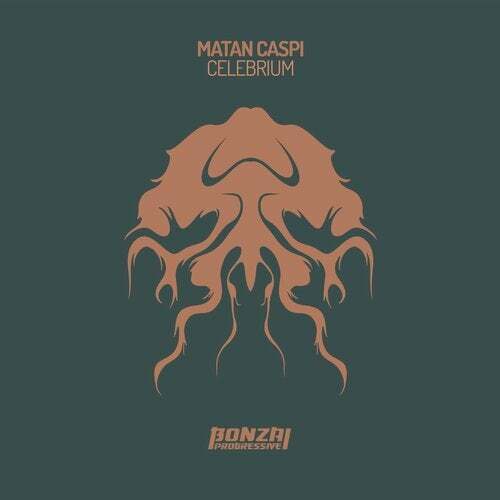 Continuing with a string of top notch cuts on Bonzai Progressive, Matan Caspi returns with Celebrium which comes backed up with three superb remixes from Yuriy From Russia, Rise and Fall and Mendexx. His last outing came back in October 2015 with Klubnichka alongside Roy Lebens which gained great support across the board. He also makes regular appearances on our Bonzai Basik Beats radioshow and his sets always go down very well indeed. The Original Mix sets off in a moody deep progressive vibe with a nice chunky kick, crispy hats and deep basses that pulsate through the sound. Cool vocal shots pop up from time to time and add a strong character to the sound. In the back end a super tight drum and percussion arrangement keeps the rhythm flowing while up front we're met head on with a solid groove. Top notch stuff from Matan and a definite must have track in your arsenal. Yuriy From Russia is up first on remix duties and yet again he enthrals us with his brand of deep progressive vibes which have graced so many remixes on Bonzai Progressive over the last number of years. Here the remix intros with a cool mixture of hats claps and FX which are soon joined by a punchy kick drum that carries a nice solid hit. A deep droning bass comes through and adds a sinister element to the sound with a deep rooted groove. Cool percussion hits litter the sound and boost the rhythmic elements. As the layers build we get locked into an infectious mesmerizing groove that leads up to a short break where we get teased with a modicum of melody before being transported back to the deeper recesses of this fantastic progressive slice. Excellent stuff yet again, the perfect fodder for any late night session. Rise and Fall is up next on the remix and once more we are blown away by the talent on offer from this guy. He has given us some fine progressive cuts over the years and he never fails to deliver. His last outing Open System proved popular among many which is a testament to his contribution to the scene. The remix intros with a cool muted kick and a great warping bass alongside an array of surreal FX and sounds. A subtle melodic arp fades through and stands out in contrast to the deeper sounds around. The drums layer up nicely with a cool rhythmic vibe that will transform easily to the floors. A solid progressive groove ensues with sweeping synths and risers taking us to the break where we enter a deeper abyss before getting thrust back into the main groove for the duration. Another fine example from Rise and Fall, not to be missed.